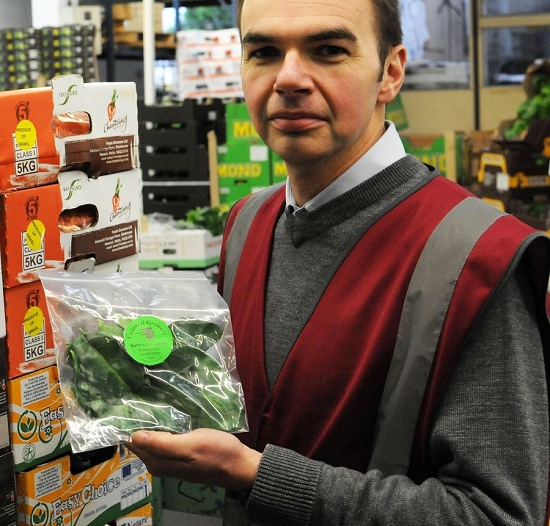 "It's brilliant to have such a niche product that's British," says Damian Fowler at C & C Fruit, holding up a bag of fragrant, emerald green leaves. 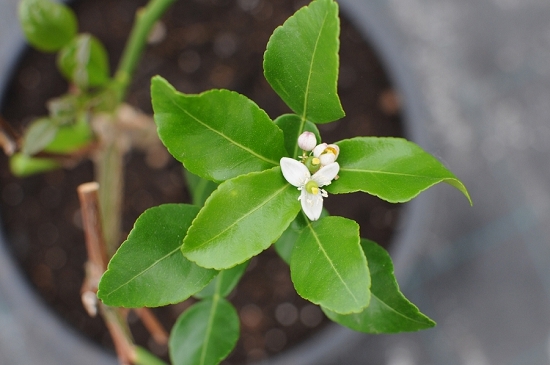 Kaffir lime (citrus hystrix) is an exotic plant, native to South East Asia and a vital ingredient in popular dishes such as Thai green curry and Tom Yum soup. 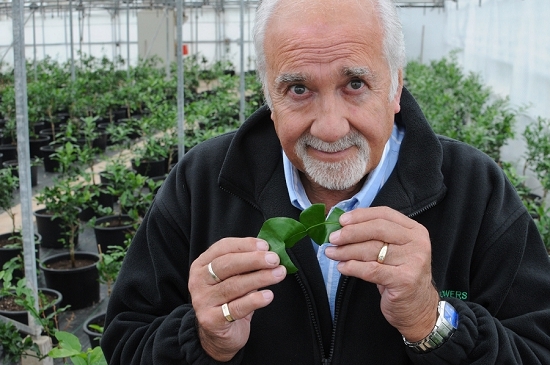 So it's startling to discover the plant is expertly grown in an Essex glasshouse by a 71 year-old retired company director and ex-postman, once renowned for making his mail deliveries in a Jaguar sports car. Len Atkins founded Colonial Growers near Colchester seven years ago, with no horticultural experience whatsoever. He had also never cooked with the leaves. "I can't stand curry, I hate it with a vengeance," he proudly declares. 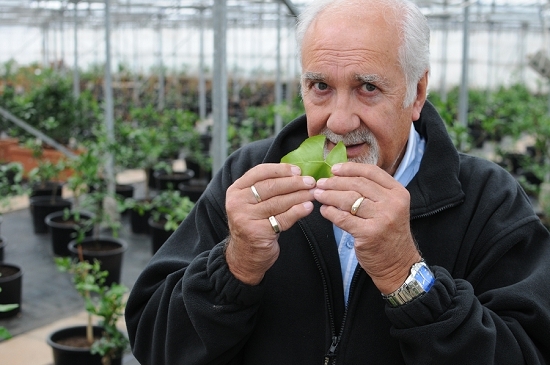 Yet now he is the only large-scale commercial grower of kaffir limes in the country. He once picked 6,000 leaves in a single week: "I can sell every leaf I grow." Len directly supplies Damian Fowler and David Piper at C & C Fruit / Gilgrove in New Covent Garden Market, who sell on the leaves both fresh and frozen. He also supplies a wholesaler in New Spitalfields Market and the large herb producer VHB, who, in turn, supply a supermarket chain who sell the leaves in a small number of their stores. Colonial Growers began purely by chance. "I came into it by accident. I met a chap in a pub," admits Len, as we tour his well-ordered Essex glasshouse. His acquaintance had been importing dried herbs, and Len spotted some plants in the corner of his warehouse. These, it transpires, were his first shipment of kaffir limes. Len had never heard of the plant before. "It was just an eye for something different – my business brain clicked into gear," he explains. Now he grows more than a thousand of the plants. 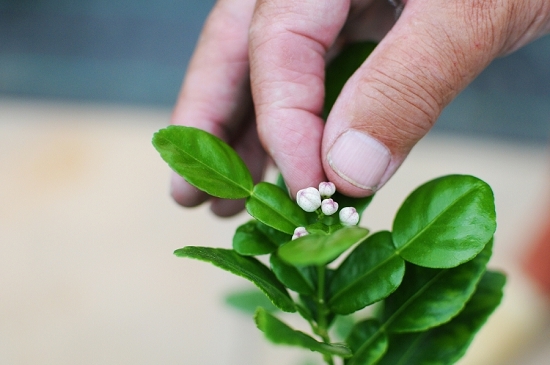 As well as the leaves, he also sells the kaffir lime fruit, when in season, and the plants themselves to retail customers via mail order. It's a clever product. The fresh leaves last as long as five weeks when refrigerated. (They last much less time if frozen and then defrosted, however). They are unusual in that they double-lobed, resembling a figure of eight. Len can pick 100 leaves in 10 minutes. He chooses mature, shiny specimens that have turned dark green in colour. In the kitchen, these can be simmered in curries, curry pastes and marinades, soups and sauces. The leaves also star in several cocktails. Their fragrance and flavour is distinct and unforgettable, with a citrusy, uplifting character. In a good summer, the plants flower and then fruit – providing a separate, high-value harvest for the business. It's not been an easy winter and spring, however. Low temperatures and light levels meant Len spent thousands of pounds on heating his glasshouse and was unable to fulfil orders between December and the middle of May. Nevertheless, the business remains in good health – a reminder that his initial gut instinct was spot on. Len admits to still getting as much buzz from an online order for a single plant as a large wholesale order for thousands of leaves. "I love it - because it's my baby," he says, happily driving us away from the greenhouse into the lush Essex countryside.